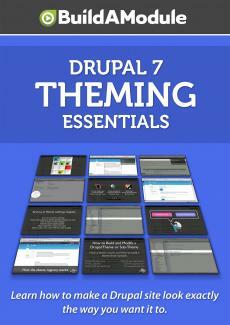 The way that Drupal decides which template files to be used for a particular situation when there are multiple options available, is through a system called suggestions. The idea of suggestions is that both modules and themes can suggest a structure for a template file. And the last suggestion that was made is the one that gets used so long as the template file exists. So let's take a look at one example that's inside of core Drupal for "node dot tpl dot php". Now the first suggestion is "node". And note that we don't have a "tpl dot php" here and you'll see that instead of dashes, where there are options for dashes, underscores are used for this suggestion. The next suggestion is the "node two underscores and the content types". So "node article" if it's an article content type. And then the final suggestion suggestion by Drupal core is "node two underscores and then the node ID" for the node. This means that if there is a template file inside of the theme directory called "node dash dash thirty nine dot tpl dot php", that will be used. If that doesn't exist then Drupal will look for "node dash dash article". So notice that we're starting at the bottom and working our way up, and if "node article" exists that will be used. If not, it will go and took for "node dot tpl dot php". And if that doesn't exist, it will use the core version of the template file. So, here's how the template files will look for each one of these. "Node" goes to "node dot tpl dot php". "Node article" goes to "node dash dash article dot tpl dot php". And then "node underscore underscore thirty nine" will be "node dash dash thirty nine dot tpl dot php".